Revealed: did the totem stop spinning? It’s been one of movie’s greatest mysteries for the past near-decade: Did Leonardo di Caprio’s Cobb make it out of the many, many layers of dream worlds he found himself stuck in during the final act of Inception? Sir Michael Caine has finally revealed what exactly happened in that Inception ending. Are you ready for this? Caine, who played the father of Cobb, was speaking during a showing of Inception in London – and perhaps got a little too blabby about what exactly went down in the ending (via SyFy Wire). 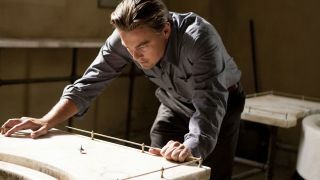 “When I got the script of Inception, I was a bit puzzled by it, and I said to [director Christopher Nolan], 'I don't understand where the dream is.’ I said, 'When is it the dream and when is it reality?' He said, 'Well, when you're in the scene it's reality.’ So, get that -- if I'm in it, it's reality. If I'm not in it, it's a dream.” Well, damn. The ending in question saw Cobb return to the United States, finally free of all the shadowy charges held against and reunited with his children and, crucially, his father played by Michael Caine. The final moments see Cobb spin his totem before walking away, but the film ends before we ever see it stop – hence the confusion. In case you don’t quite remember, Cobb used the spinning top totem to tell if he was in a dream or not. If the spinning top kept going indefinitely then he’d know he wasn’t out of the dream yet. This being a Christopher Nolan movie, of course, things were a bit more complex than that, but that’s essentially what the movie’s final frames boiled down to. Now, we have a definitive answer to the Inception ending. Go, Mike! It was a happy, and very real, ending. None of that ‘It was all a dream’ schtick here, so our heads can finally stop spinning. Want to see more shocking conclusions? Here are the 30 best twist endings... or are they?